Over the years, you are prepared for certain changes to your appearance, like wrinkles and a few gray hairs; however, you were not expecting weight gain. As you age, changes to your hormone levels can make it difficult to maintain your previous weight. You have tried changes to your diet and increased your exercise to combat it, but they still are not enough. 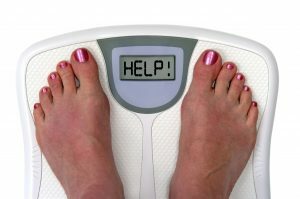 You can help to restore a healthy weight naturally with bioidentical hormone therapy. Throughout your life, it is natural to suffer from hormone imbalances, such as after menopause. For many women and men, they turn to conventional hormone replacement therapy. Although they are commonly used, they use synthetic chemicals that do not align naturally with your body. As an alternative, many have come to choose bioidentical hormone therapy with Dr. Casad. While our website provides a lot of helpful information, we realize you may have specific questions that are not answered. Please do not hesitate to complete this form, and Dr. Casad will respond as quickly as possible.